You are already aware that when you advertise on mobile devices, you have a lot less space to work with. Ad spaces are often small, can easily be missed, and can be tough for the user to navigate. Potential customers may be interested in your ad, but the tricky nature of clicking on it to get to your page can lead many to ignore the ad completely. Yes, they may be seen, but having them actually clicked on is another matter entirely. On a small touch sensitive screen, accidental clicking can also be a problem which could lead to inaccuracy in ad reports. When you advertise on mobile devices, you need to make sure that every step in the process, from the initial ad insertion to the landing page, and all the way to the order form is as seamless and as easy as it could be. This process requires a ton of preparation and seemingly endless testing on different mobile devices. It is a big challenge, and also costly. 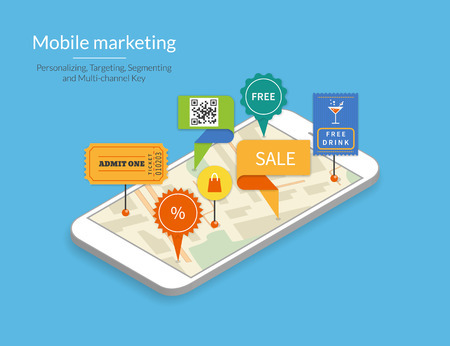 When you advertise on mobile devices, you obviously have less space to add details, descriptions and disclaimers about your product or service. At best, this means that you spend a lot of time answering the same questions from potential customers. For example: what is included and what is not included in the advertised price. At worst, you end up with misunderstandings and false assumptions, which could lead them to a negative shopping experience or avoiding your business altogether. Not all mobile users have the latest device running on the fastest broadband network. There will be many old devices as well as slow cellular services. When this happens, the ads that you have worked so hard to create may be missed simply because they did not fully load before the user moved on to the next page or another site.